Back in May, Verizon announced they would be flipping the 4G switch on even more cities by June 16th. Here’s a friendly reminder for everyone living in these regions that this Thursday, you should be seeing some 4G LTE love. Anyone in these cities already seeing 4G? And how about anyone not in these cities? We get a lot of reports of unannounced areas receiving 4G, so be sure to let us know in the comments if you are seeing it. Verizon is still on track to having their entire 3G network covered by 4G by the end of 2013. List of cities after the break. 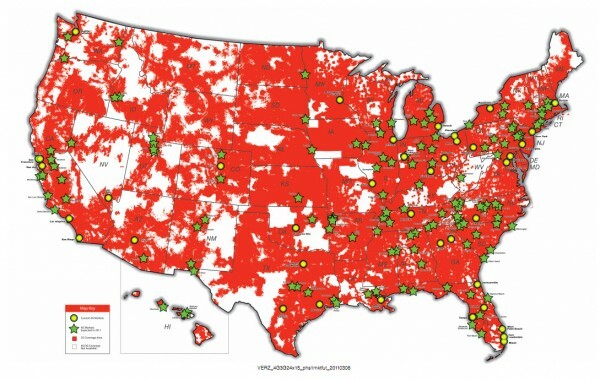 Verizon Wireless is also expanding its 4G LTE network in San Francisco and Detroit on June 16.